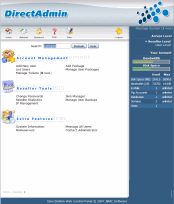 DirectAdmin is a graphical web-based web hosting control panel designed to make administration of websites easier. Our DirectAdmin VPS plans provide an unlimited domain license to help you get your websites and your clients up and running quickly. The system is installed on top of Debian, a distribution that stresses security and stability. 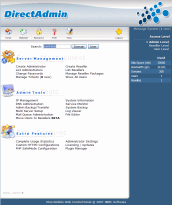 DirectAdmin offers unparalleled speed and stability while maintaining all of the features people have come to expect from a commercial webhosting control panel. 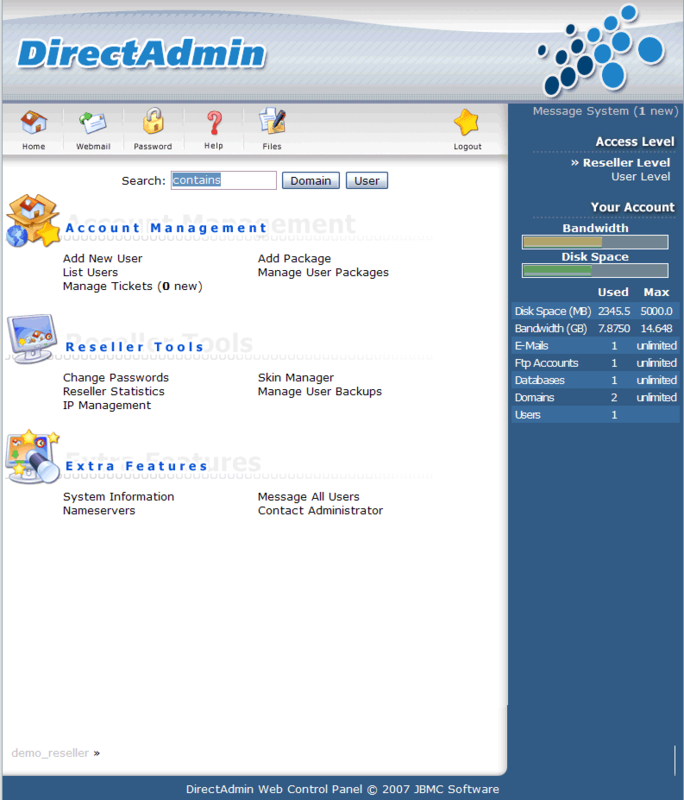 DirectAdmin has three users levels, Administrators, Resellers and Users. Our DirectAdmin VPS comes preinstalled with easy to use email, ftp, dns, statistics, frontpage extensions, subdomain management, file management, MySQL Database, custom 404 Error error pages, directory password protection and tools to install SSL on hosted domains. * . 5% discount applies if you purchase 6 months, 10% if you purchase 12 months. ** Additional available at no charge if needed. 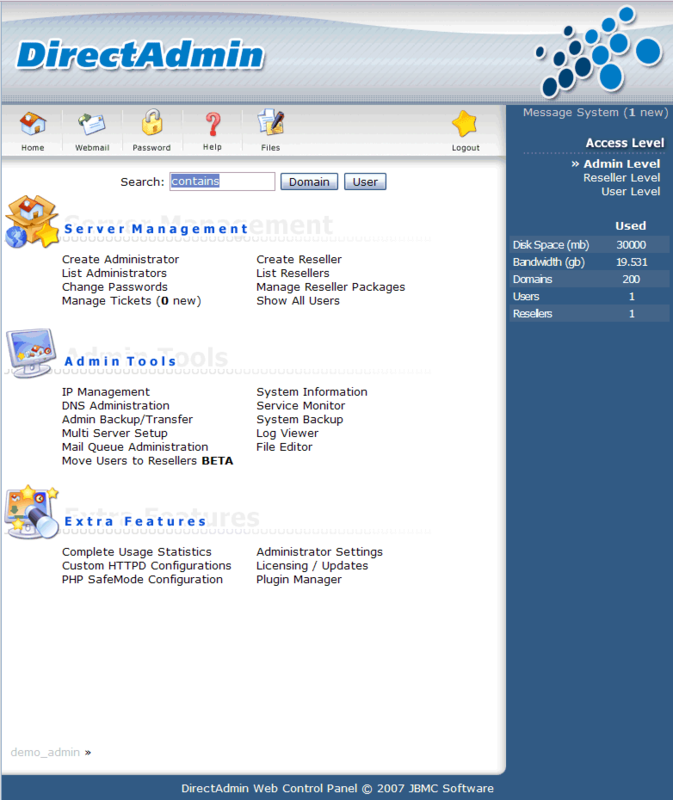 DirectAdmin is a graphical web-based web-hosting control panel, designed to make administration of websites easy. 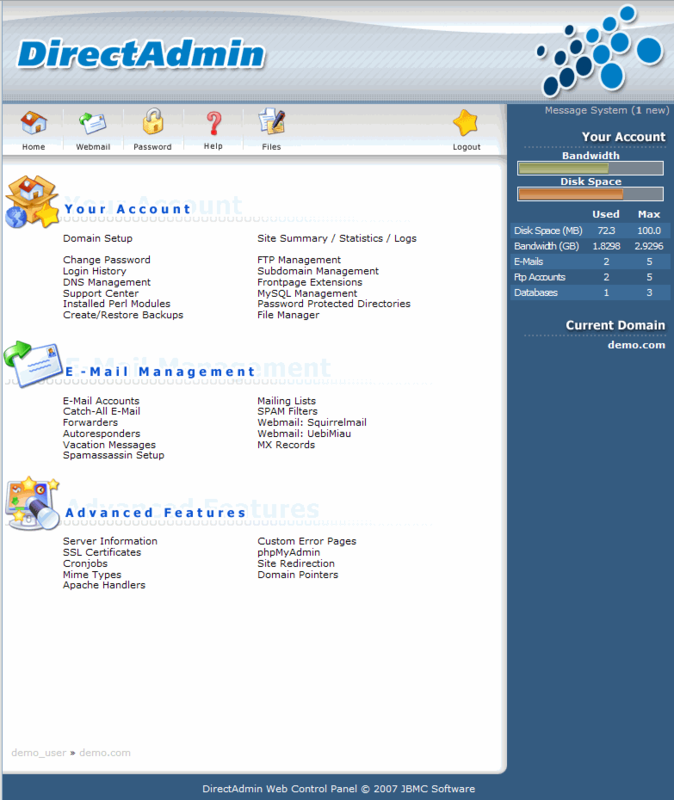 DirectAdmin handles all aspects of website administration in its interface. The software is extremely easy to use and fast, and is designed for use by commercial web hosting services. Debian GNU Linux stresses security, stability and easy package management. For this reason, Debian is one of the most popular Linux operating system choices available to the adminstrator today. One of Debian's unique features is the ability to simply upgrade your operating system using the apt-get system. Maintaining security has never been so simple. If you demand rock-solid stability and high security on your VPS, Debian GNU Linux is for you.